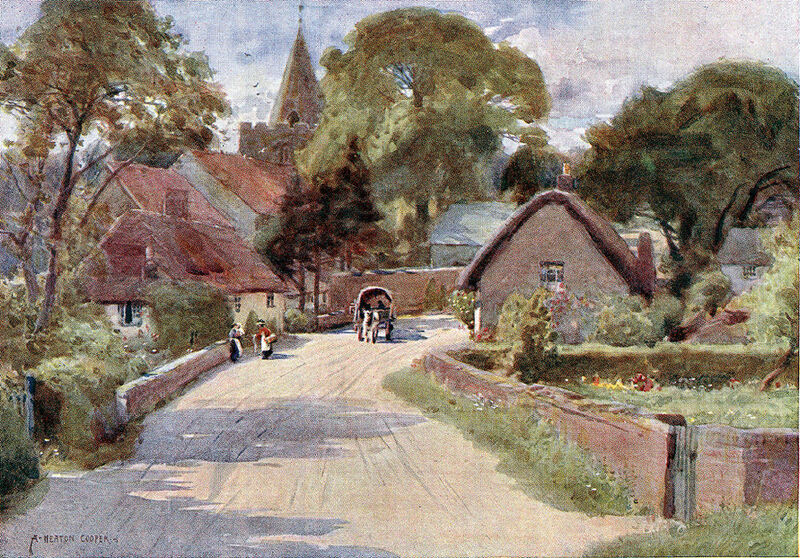 A water colour of Shalfleet village by A. Heaton Cooper, published in 1916 but painted before that (the church still had it's steeple which was removed around 1912). 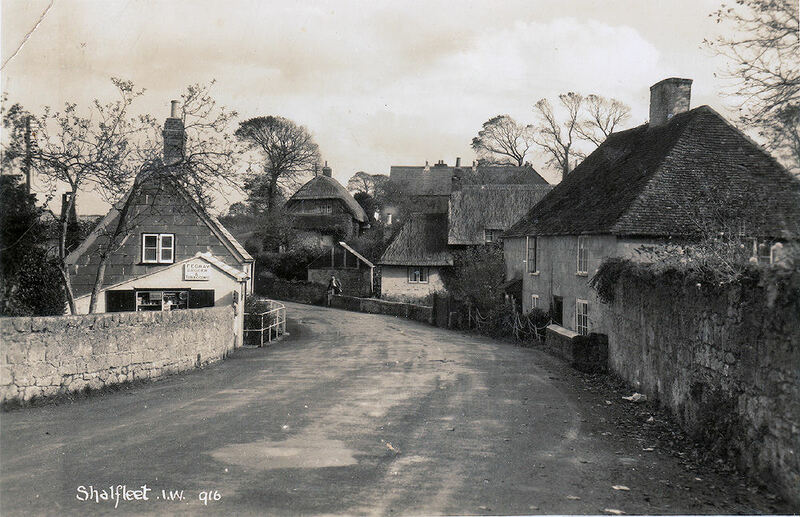 It is somewhat different now, the road is wider although still single track with traffic lights at each end of the of the centre of the village. 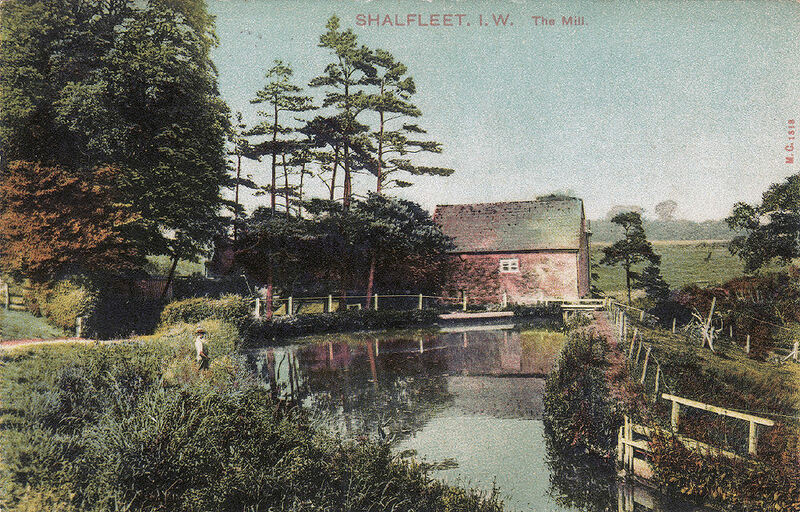 The name Shalfleet is Anglo-Saxon and means 'shallow creek' as there is a stream (the Caul Bourne) running through the centre of the village and then into Newtown Creek. 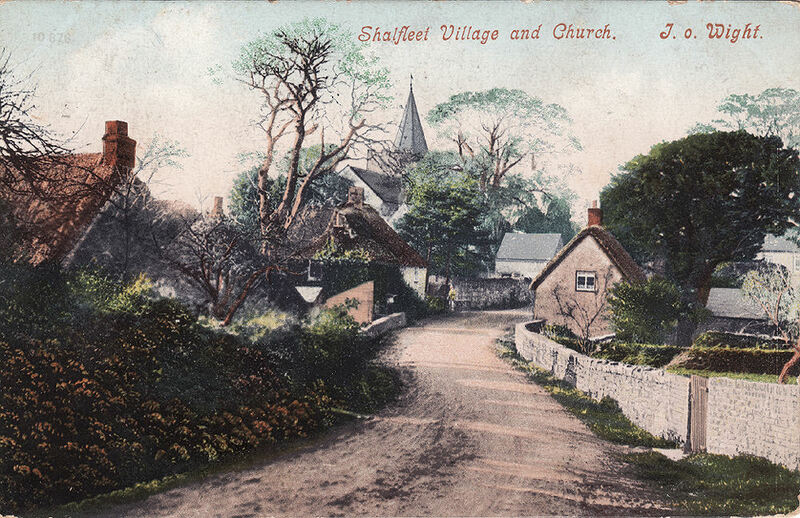 The first record of the name (as Aet Scealdan Fleote) was in the year 838. 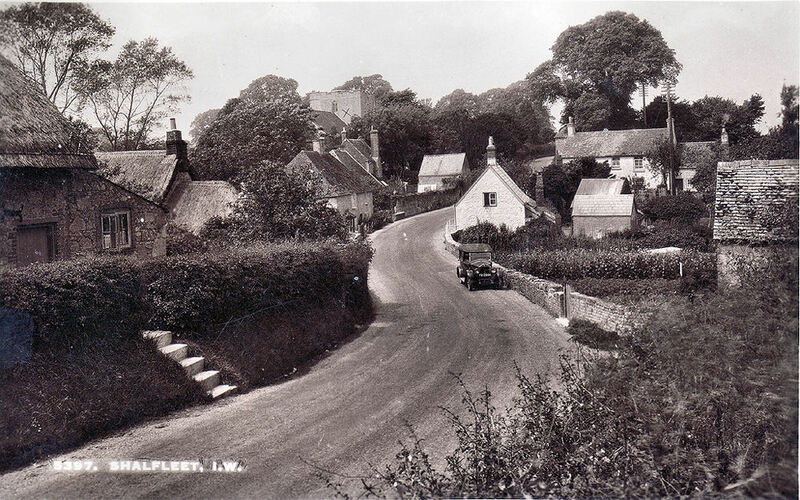 At the time of the Domesday book in 1086 it was called Selceeflet. 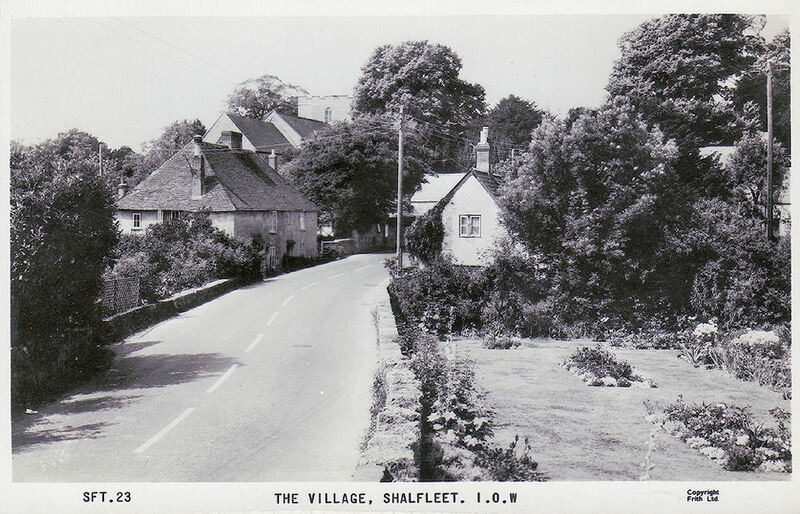 Shalfleet was described in an 1870 guide book (Blacks) as being 'not too lively' and probably hasn't changed in that respect! 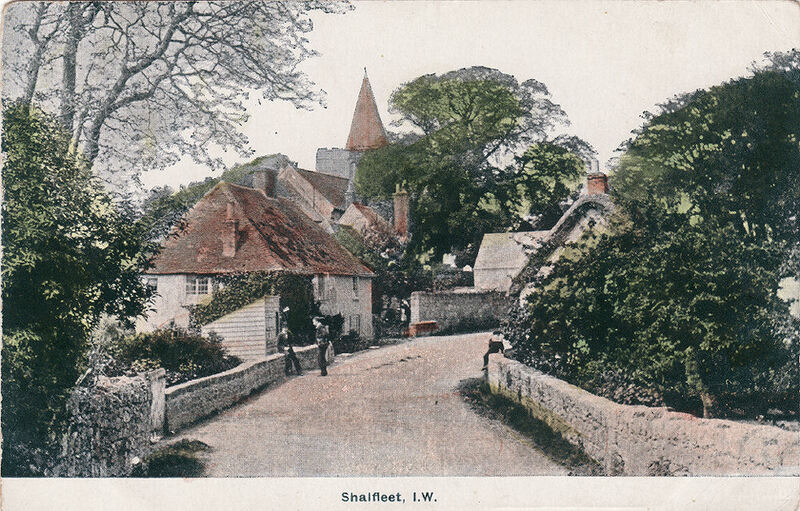 The Four cards of Shalfleet Village below are pre 1912, as the steeple was demolished in 1912, although it is not possible to date them exactly,. 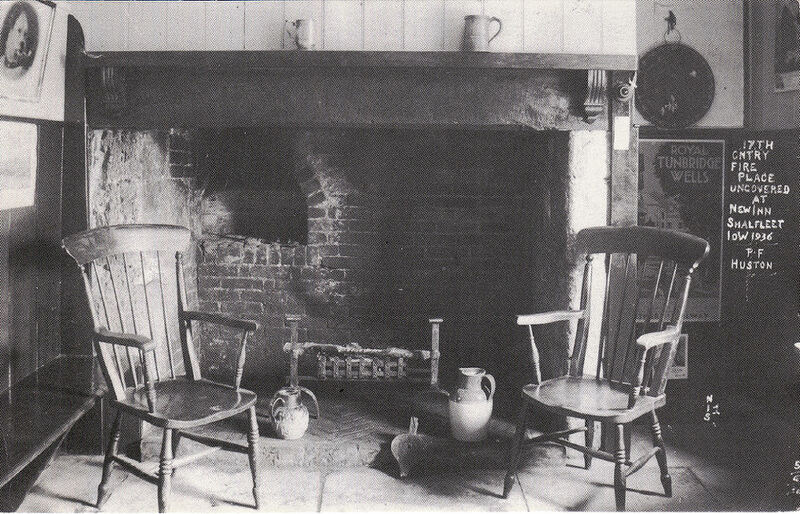 An undated Peacock Series Card. 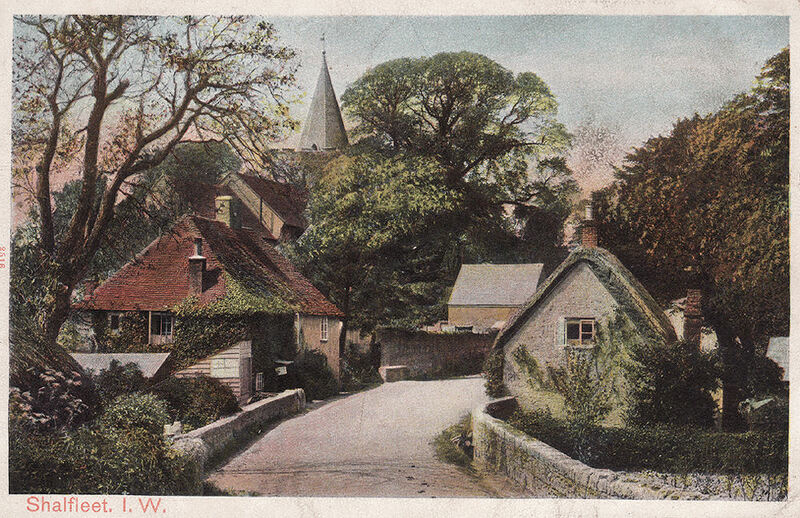 Undated card, no manufacturer given. 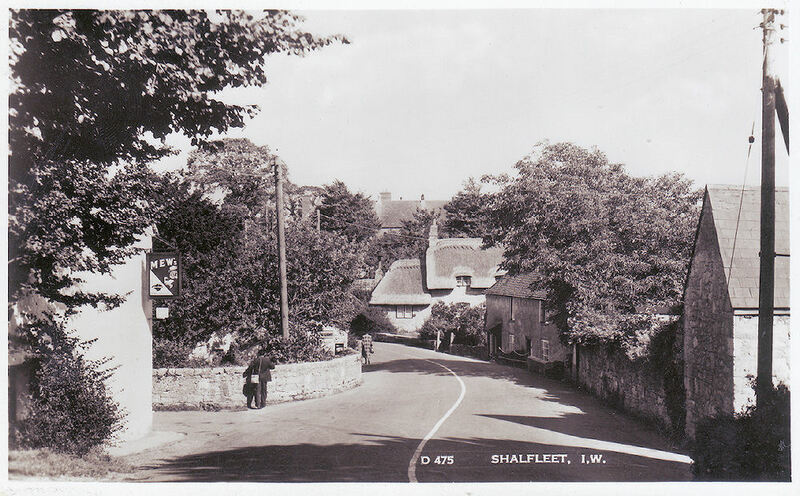 A photo of Shalfleet in 1929. 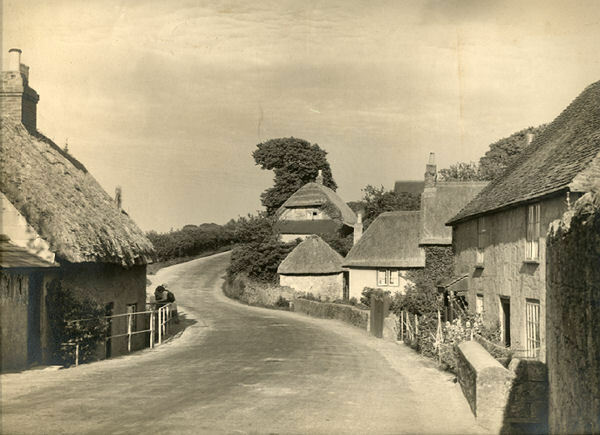 Shalfleet Village looking east showing Grays Stores, 1936. 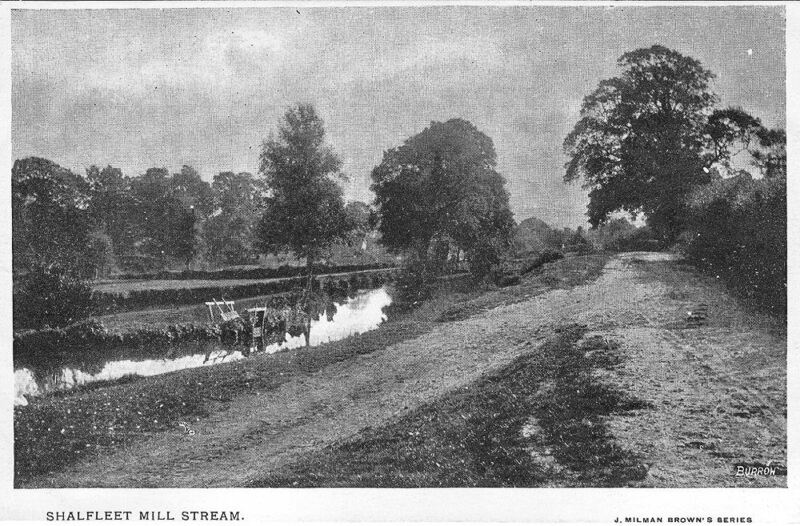 Shalfleet Mill Stream, about 1910.